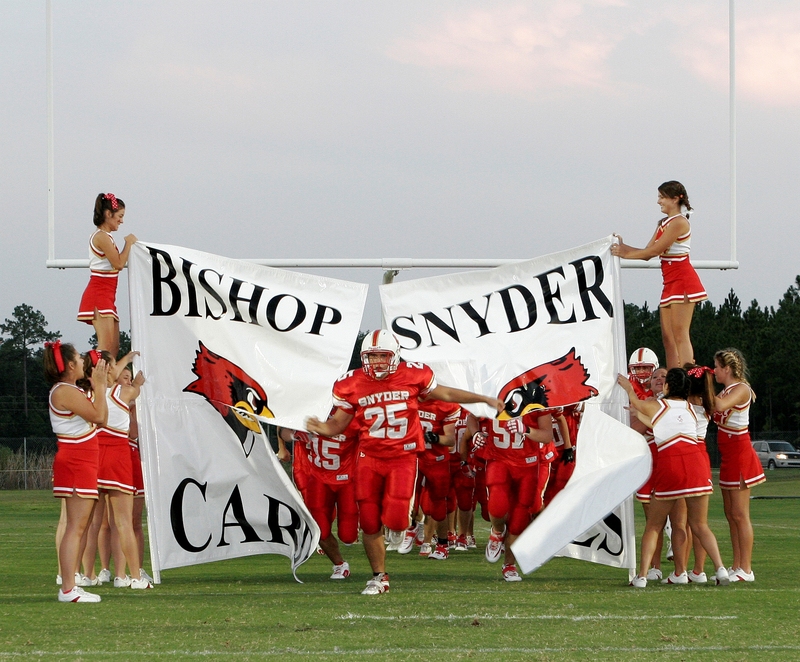 Bishop Snyder's Grade School Football Game TH, Oct. 11, 7pm. Free admission for grade school students. Bishop Snyder's Grade School Football Game is Thursday, October 11th. Doors open at 6 p.m. and kick-off is at 7 p.m. Complimentary admission for all Catholic grade school students! See you there! Enjoy an evening of Cardinal's football!